This biking vacation offers a glimpse into the agrarian life of the vibrant southern Delta region as we wind our way through the tributaries of the Mekong Delta. From our boats, we are able to closely observe the daily rituals of river life and participate in the bustling commercial activities as we buy our fruits from the floating market. Along the way, we will visit an orchard farm, handicraft village, and a land market with an abundance of colorful fresh fruits and vegetables. This vacation is one of the best Cambodia Vacations. Visit Angkor National Museum to gain the knowledge of Angkor and Cambodia. 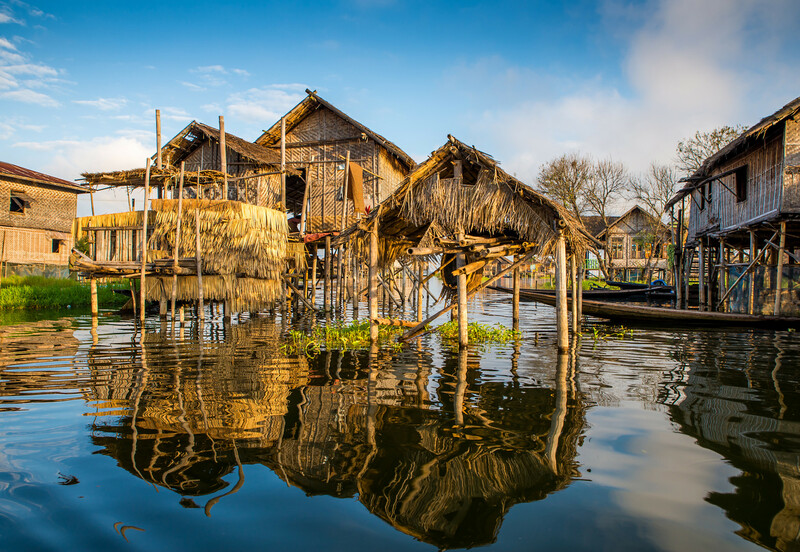 Visit Tonle Sap Lake and Kayaking in Floating Villages/Mangrove forest. Biking through Ta Prohm the jungle temple made famous in the Tomb Raider movie, Angkor Thom & Angkor Wat. Explore Banteay Srei temple which is the most beautiful temple in Cambodia. Visit to local markets or work shop of Artisans D’Angkor. Welcome to Siem Reap – a home of Angkor Temples! In the late afternoon to return to hotel for relaxation and swimming. Stay overnight at hotel in Siem Reap. Return to hotel for relaxation and swimming. Stay overnight at hotel in Siem Reap. Free at leisure for shopping or find –out the mythical Siem Reap till we meet and transfer to Airport for flight home. Accommodation with a shared twin / double room. Boat trip to Tone Sap Lake. Mountain bikes and escorted van. Cambodia Visa (20US$ for single entry + 01 passport sized photo). Peak season surcharges (which will be notified at the time of booking).